As you arrive closer to the end of the month, you find yourself worrying about how much money you have left in your account to tide you over till payday. Most people admit that any shopping they do one or two weeks before payday is done using their credit card, because they just don’t think they can afford it otherwise. “And you know what, when your salary comes and it is time to pay off my credit card bill, I am always shocked by how high my credit card bill is! So boom, my bank balance is again low and two weeks later, again I am using my credit card for shopping,” Nithya, who works at a well known pharmaceutical company, complains. Whether you need to shop for groceries, toiletries, clothes or furnishings, make a list of everything you need. Do not go shopping blind because you tend to forget what you need and pick up a whole lot of stuff you don’t. Moreover, a list helps you stay focussed and not get distracted by clever marketing ploys. Those marketing gimmicks end up gobbling up your savings. Do not just walk into the first shop or go onto the first website you remember to make your purchase. Shop around first. Before going to a physical store, check prices online. Go to shopping comparison websites like Pricedekho or CompareRaja when you need to buy big ticket items and find the best deal. You can then either buy online or go to a physical store. See if they will match the price you get online or go cheaper. There are so many coupon websites nowadays that give you amazing deals. You can get great discounts but beware of temptation. Sometimes you might come across a great coupon for something not on your shopping list. You might end up spending on something you really don’t need just because it felt like an amazing deal. 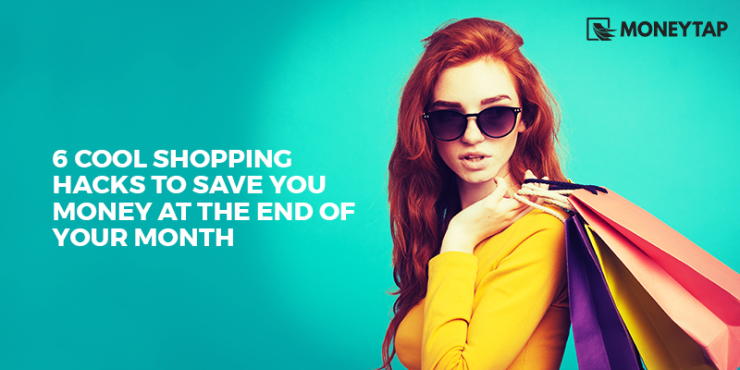 You can also wait to shop for clothes during sale season. Be early at the store so that you can get the best selection before the crowds begin. Wait for festivals to get big ticket electronic items or furniture. A lot of stores offer great discounts during the festive season. Many shopping websites offer new customers great discounts on their first purchases. It really pays to try out a new website and make a big purchase because you are often offered a large percentage off the purchase. Will I use it? (Because you know there are those jeans lying in the back of your cupboard waiting for the last year for you to lose some weight, and those dumbbells hidden under your bed waiting for the day you actually unpack them and do a little exercise. Can you imagine how much money you’d save if we just reduced waste? We can save money on our food bills if we were to cook more appropriate food portions or reinvent some of last night’s leftovers for breakfast. We can save money by repairing torn clothes, replacing worn out zippers, fixing heels of shoes, etc instead of throwing them out and replacing them with new stuff. We can save money by recycling containers, paper, using hankies instead of tissues and so much more. Really, if you look at your life you will find many ways to reduce waste and you will find it makes you not only more mindful and aware of how you make use of your resources, but also a far more content person. Turns out that one great way to save money on shopping is to not shop in the first place! What other shopping hacks have you learnt when it comes to saving money? We’d love to hear from you in the comments!